At first I was intrigued by the name. I had read “Sir Canadian something”, and was really close to just shake shake shake it off as I unapologetically do quite often, but I actually took the extra effort of re-reading those three words correctly. 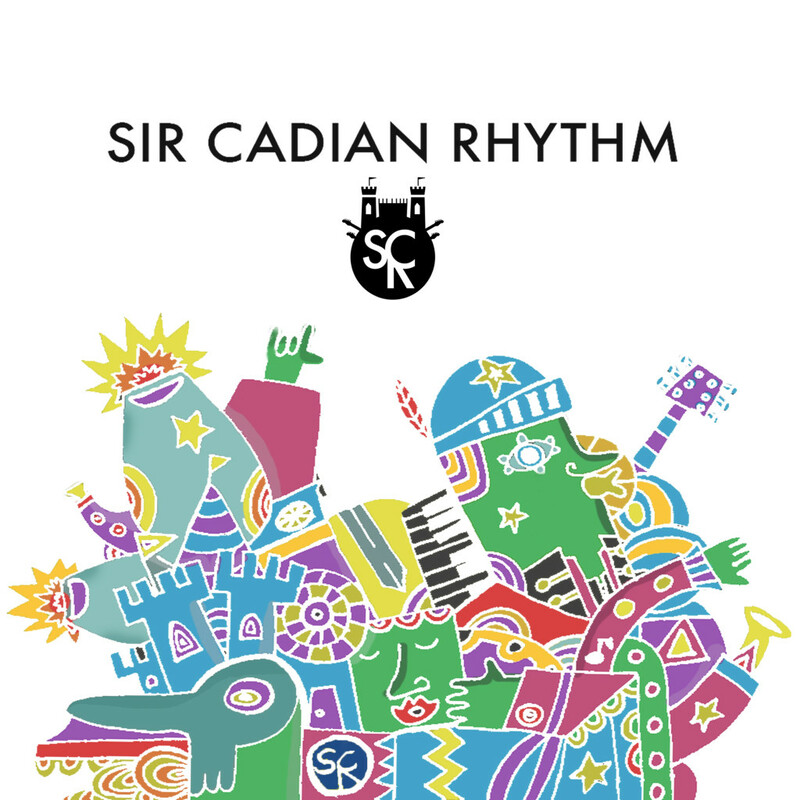 Sir Cadian Rhythm, there we have it! A somewhat awkward pun that makes it sound like they needed a name asap and it’s the only thing they could come up with. But I kept reading the promoter’s message which was so devoid of formatting that I had to scroll right quite a lot to finish the one-line sentence describing the band. The words jazz, progressive, and rock really stood above the rest, and so I decided to give the band a try. And I’m glad I did! In short, it’s reminiscent of Three, and Coheed & Cambria, as well as another band we reviewed here Autumn Electric. Shorter? It’s good! The songs are really catchy, upbeat and will make you want to dance! I think the highest on the dance-o-meter might be Holly’s On Fire. That chorus part is so annoyingly good. Annoyingly because I know it will get stuck in my head someday, and I’ll have a hard time getting it out. On the EP, the production is really clean, and every instrument, even when there are, probably, tens of instruments playing at once, which is, in a way, similar to some other alternative/pop artists. The guitar tones are great, and so are the bass’. As for the drums, I really like the extra distortion added on them from time to time; it give them a more aggressive sound when the song calls for it (as in Ouroboros). I remember not being quite sure liking the singer’s voice at first, but since I can’t see why anymore, I believe it was only the short time one needs to adapt to a new singer. He’s on pitch, with a little tremolo and great melodic lines. You won’t be disappointed. In the end, it’s a welcomed new arrival. It’s been a while since I hadn’t had a good, light-mooded modern progressive rock album, and this just might be it! I recommend you check it out. Oh, this? This is part of our new 3-level rating system. While attributing stars or a percentage to music doesn’t tell much about the music itself, I believe that this new system will help us wrap up our conclusion better. Now, it’s only a rating and no music can be diminished to that, but I think that it will give you an indication to whether or not you should give a crap about the album we just reviewed. This one, for example, is the second level, Deserving. It means that this album deserves your attention, and that you might want to think about acquiring it. That’s an equivalent of “recommended”, and most of the albums we review will fall into this category. The other two are Sublime, meaning that you must absolutely buy this masterpiece, and Unworthy, which, if it’s not already clear enough, you shouldn’t even approach. I hope this system will help you all find new great music!